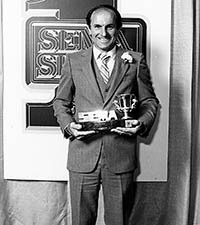 SEMA Hall of Fame - Don Garlits, 1980, Don Garlits Museum of Drag Racing. 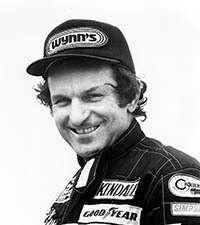 A prominent professional drag racer who is credited with innovations such as the rear-engine dragster design, Donald Glenn "Don" Garlits is a legend of the quarter-mile acceleration sport, a driver whose following of fans remains virtually unmatched in automotive racing sports. 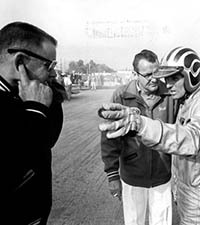 He won his first NHRA race in 1955, turned pro three years later and amassed a career total of 144 national event wins and 17 championships. In 1957, he was the first drag racer to go faster than 170 mph, the first faster than 180 in 1958, and the first to the 200-mph mark in 1964. He wasn’t through setting speed records, either, and was the first to break 250 mph in 1975 and 270 mph in 1986. 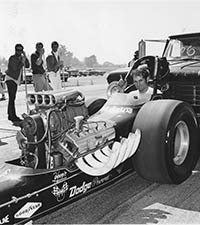 Swamp Rat was the name of his cutting-edge Top Fuel dragsters, and the one that broke the 270-mph record was placed in The Smithsonian. ESPN ranked him as one of the top drivers of all time, while the NHRA ranked him on its Top 50 Drivers list. 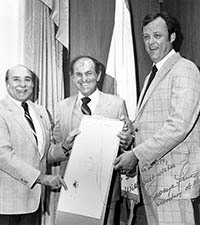 He was inducted into the Automotive Hall of Fame, International Motorsports Hall of Fame and Motorsports Hall of Fame America, among countless other honors. Florida is home to the Don Garlits Museum of Drag Racing.